The Master Scuba Diver Trainer Speciality Package is designed to equip you with 5 PADI Speciality ratings that you can then teach to your student divers. The course can be taken any time after your IDC and will enable you to apply for the prestigious MSDT rating as soon as you have qualified as an OWSI and obtained 25 certifications of student divers. Courses run over two days and are held throughout the year either on the Isle of Wight, Vobster Quay, Andark Lake or Malta. During the course we will look at the relevant PADI Standards and knowledge development, teaching tips, skills workshops, equipment preparation and speciality marketing. The course fee is £450 for 5 specialties and for those visiting the island, we can organise local accommodation. For those actively looking for employment in the dive industry we can also provide assistance with CV’s and marketing yourself. 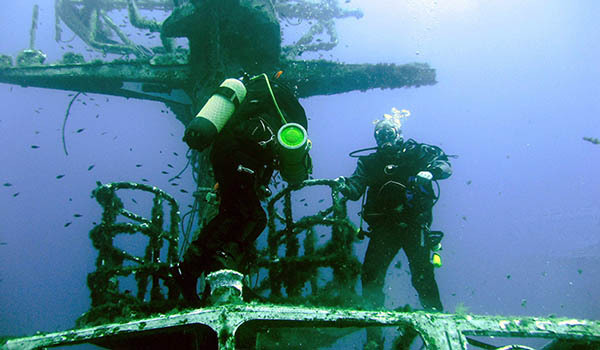 Individual PADI Specialties are also available at £125 per specialty.